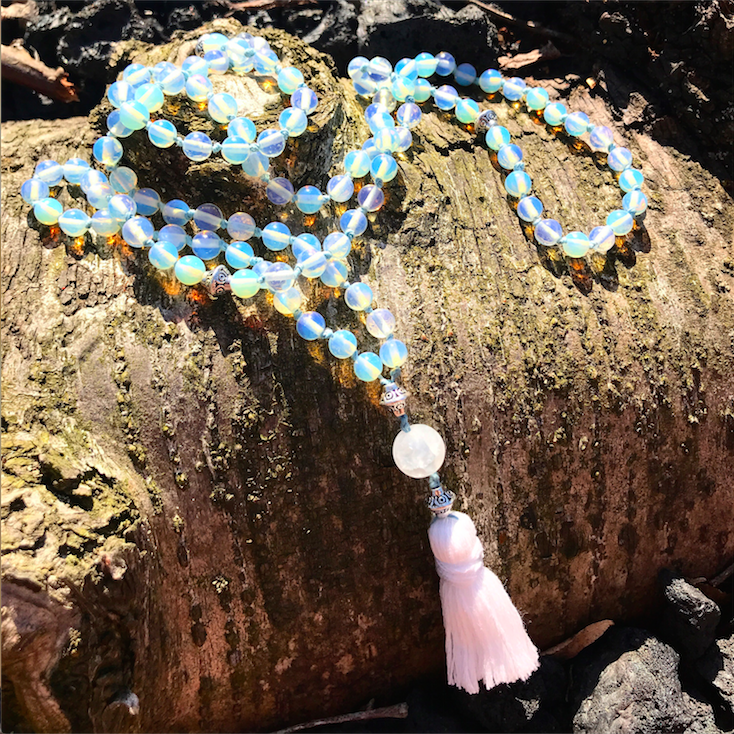 Custom made opalite mala strung with natural hemp cord & charged with mantra. Opalite is a stone for harnessing our inner power. It brings into harmony our yin & yang aspects, balancing feminine and masculine energies for that 'centred' feeling we are always seeking. 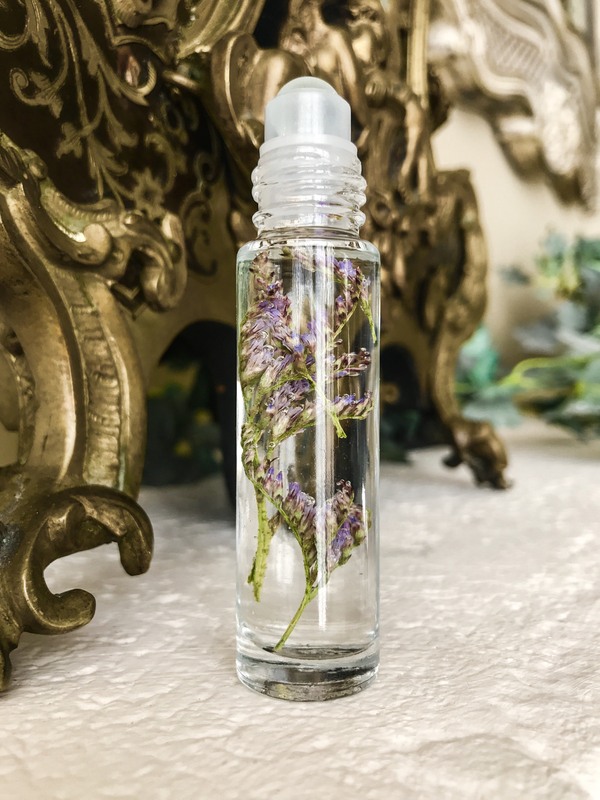 These homemade blends come in an easy to use glass roller bottle, perfect for on-the-go aromatherapy goodness. Each perfume is made with a special blend of 100% pure essential oils, dried flowers, fractionated coconut oil & purified water. 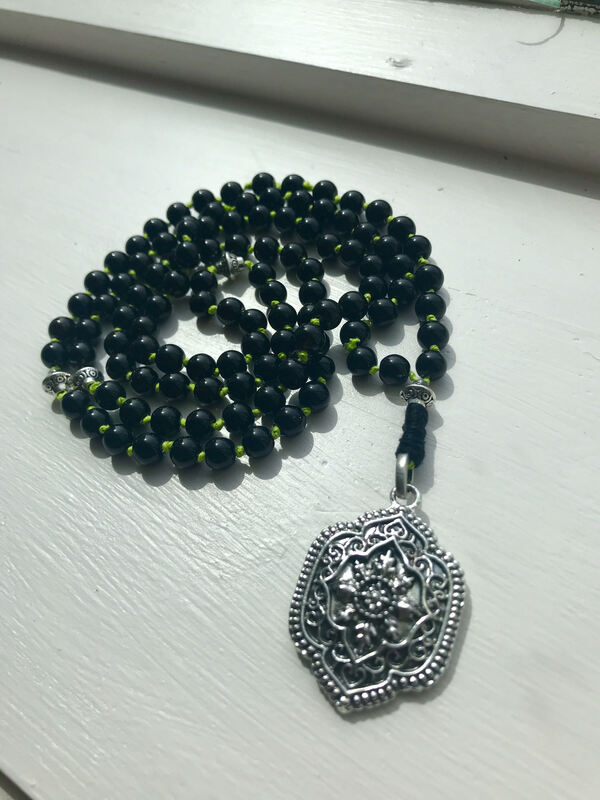 This mala is charged with the mantra 'Om Gam Ganapataye Namaha.' It is extremely powerful for anyone starting a new endeavour or looking to clear away difficult obstacles on their path. The knotting process began at 1:08 pm on Good Friday - All natural hemp cord. 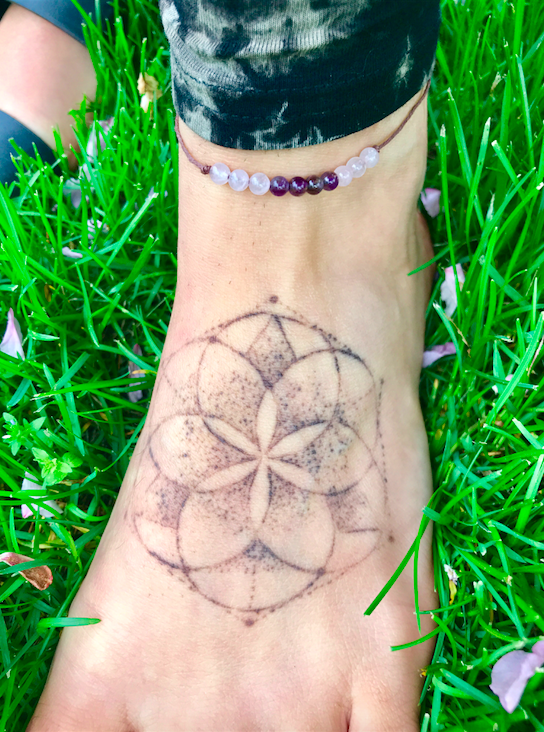 Dainty & sweet, this summertime anklet is made with semi-precious rose quartz and amethyst stones and strung together with all natural hemp cord. Available while supplies last! Have an idea in your mind that you'd like to create? A specific stone, wood or intention you'd like your mala to represent? Email me your requests and I will do my best to create your vision. Custom-made malas will be subject to price differences. 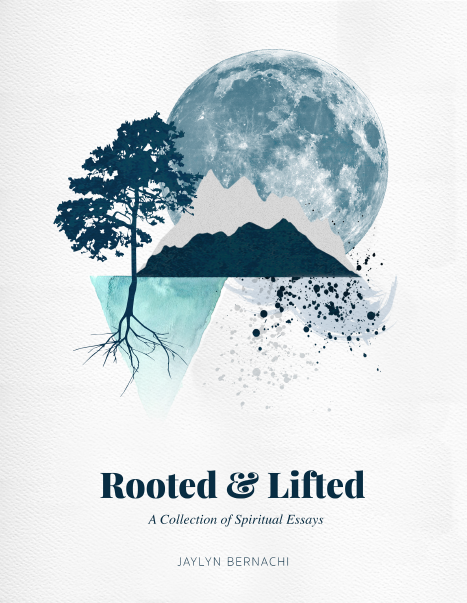 Rooted & Lifted is a short collection of spiritual essays that are adorned with intricate designs by Carly DiGiovanni & complimented with opportunities for the reader to bring the theories into practice. It is a short and powerful read. Available in hardcopy or as a PDF. Want to take your practice with you wherever you go? 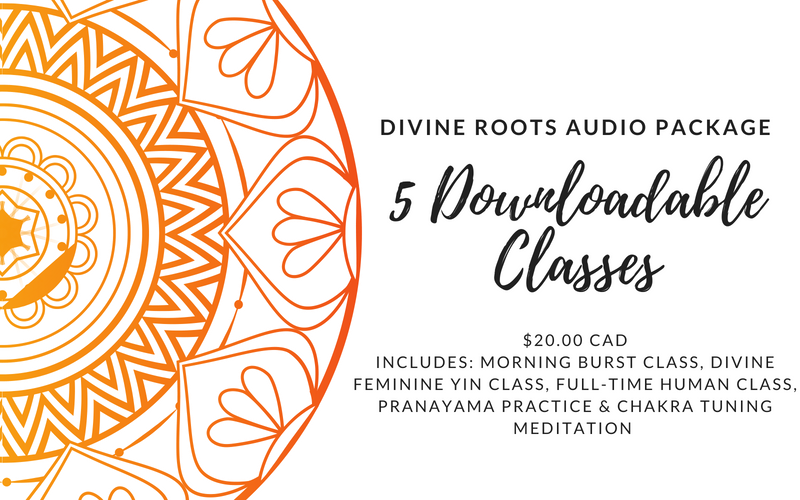 The Divine Roots Audio Series is now available for purchase as downloadable files to store on your laptop or mobile phone. Your files will be sent directly to your email within 24 hours of complete payment.